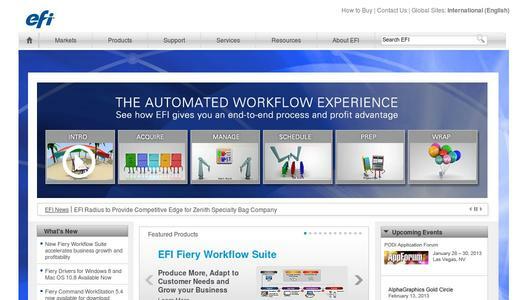 EFI(TM) today announced that Zenith Specialty Bag Company Inc., a family-owned speciality paper bag converter, has begun the implementation of its new EFI Radius Enterprise Resource Planning (ERP) software solution. EFI is the leading provider of graphic arts ERP software, and its Radius solution is a top choice in the label and packaging converting industry. Hundreds of converters worldwide rely on Radius every day to make profitable business management decisions. "Customers like Zenith are able to generate a significant return on investment by implementing Radius," said David Taylor, general manager of EFI Radius. "More important, they can improve their businesses for the long-term by getting the management-level information they need to increase productivity, reduce costs and grow profits." "After an in-depth search for the right provider, we determined that the EFI Radius system would be the best fit for our organisation. EFI's focus on the printing and packaging industry and understanding of our specific issues made the Radius solution an easy choice," said Scott Anderson, president of Zenith Specialty Bag Company Inc. 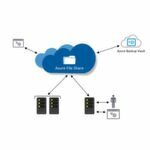 The transition to an industry-focused, fully integrated business management solution promises to provide the Los Angeles County, U.S.-based converter with the comprehensive, up-to-date information it needs to make informed, proactive changes. Michael Rodriguez, IT manager at Zenith, said, "We've survived for 67 years without a good ERP system, but EFI Radius is about to provide us with the information we need to take our performance to the next level. "EFI Radius is going to make us a much more informed and versatile organisation," Rodriguez continued. "We are going to be able to optimise many of our redundant operations, both in the plant and in the office." With accurate, real-time information from shop floor data collection and an automated approach to scheduling, Zenith will be able to greatly improve its machine utilisation and the accuracy of its job costing. The company will have the information it needs to make smarter decisions, and increased production efficiencies from Zenith's Radius implementation will help the company decrease turnaround times.